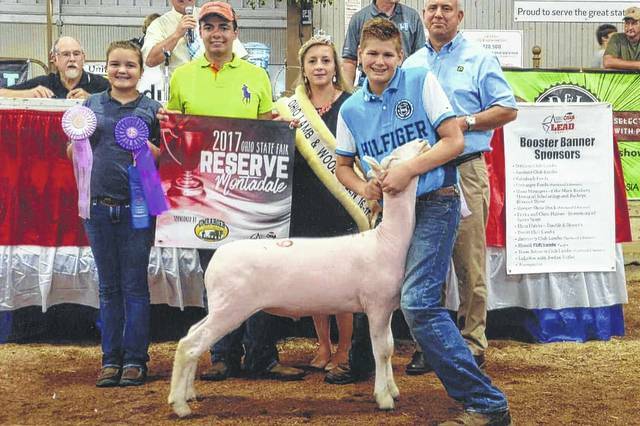 Andrew Guthrie of Washington Court House exhibited the Reserve Champion Montadale Market Lamb at the 2017 Ohio State Fair. Guthrie competed against 276 exhibitors with 689 market lambs to win this honor. Miles Gibbs, of Del Rio, Texas, judged the competition on July 26. Mike Bumgardner, United Producers Inc. and OSIA LEAD Council Banner Booster Program purchased Guthrie’s lamb for $1,225 at the fair’s market lamb sale. Andrew Guthrie of Washington Court House exhibited the Champion: All Other Breeds Market Lamb at the Ohio State Fair. Balfanz Club Lambs, Shroyer Show Stock, and OSIA LEAD Council Banner Booster Program purchased Guthrie’s Lamb for $1,225 at the fair’s market lamb sale. https://www.recordherald.com/wp-content/uploads/sites/27/2017/08/web1_img031.jpgAndrew Guthrie of Washington Court House exhibited the Reserve Champion Montadale Market Lamb at the 2017 Ohio State Fair. Guthrie competed against 276 exhibitors with 689 market lambs to win this honor. Miles Gibbs, of Del Rio, Texas, judged the competition on July 26. Mike Bumgardner, United Producers Inc. and OSIA LEAD Council Banner Booster Program purchased Guthrie’s lamb for $1,225 at the fair’s market lamb sale. 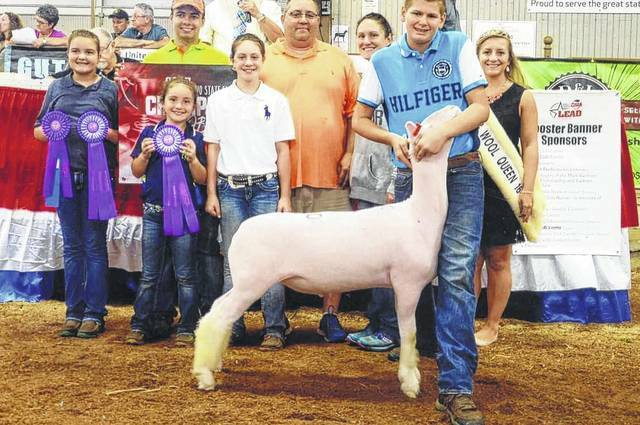 https://www.recordherald.com/wp-content/uploads/sites/27/2017/08/web1_img033.jpgAndrew Guthrie of Washington Court House exhibited the Champion: All Other Breeds Market Lamb at the Ohio State Fair. Balfanz Club Lambs, Shroyer Show Stock, and OSIA LEAD Council Banner Booster Program purchased Guthrie’s Lamb for $1,225 at the fair’s market lamb sale.